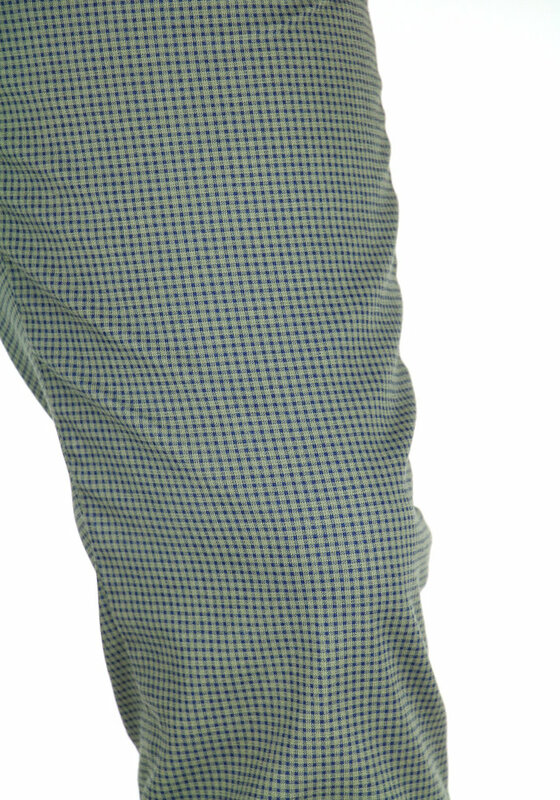 Four.Ten Industry Chino in green with a navy diamond pattern. 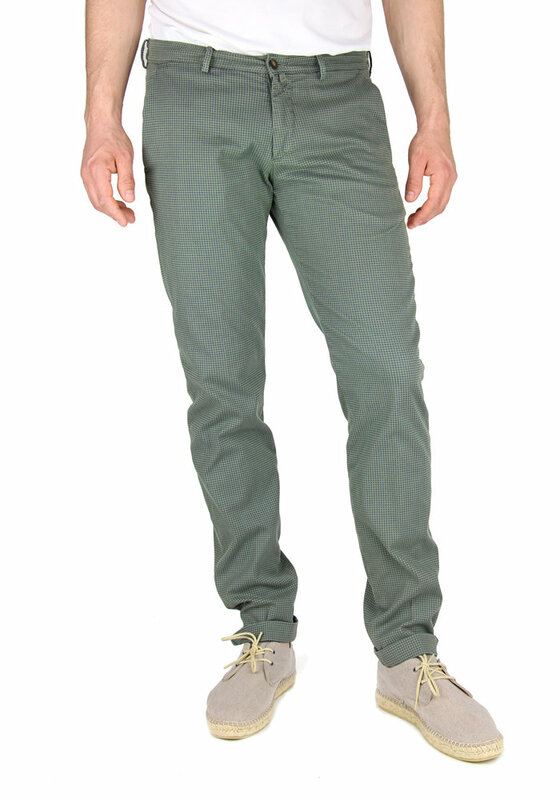 The pants have a slim-fit fit and are tailored. The chino is very comfortable due to the addition of a light stretch! 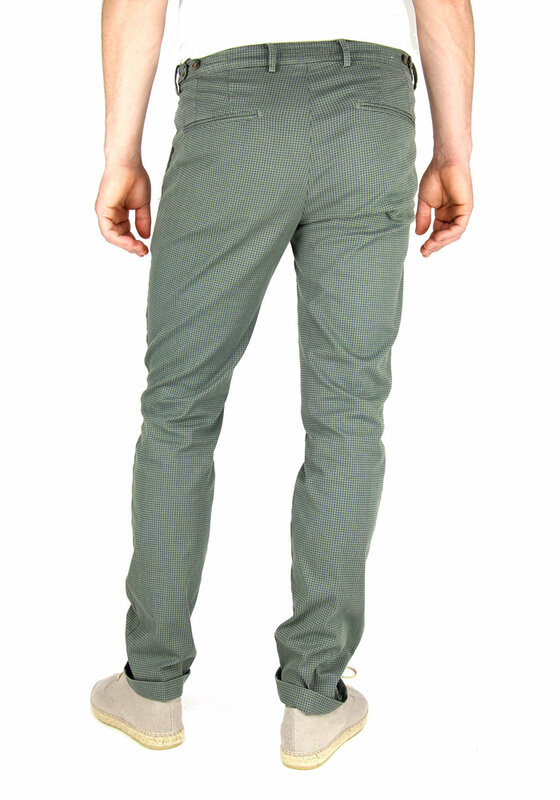 Apart from the side pockets, the pants also have a clean design.